Planning a day trip or about to go on holiday and need transport to the airport? Snell's can help with all your travel needs. We are a family owned business, offering high quality mini bus hire services with a driver at very competitive prices. Our mini bus hire is provided with a friendly driver and we cover Devon, the southwest and further a field to most major cities in the U.K. 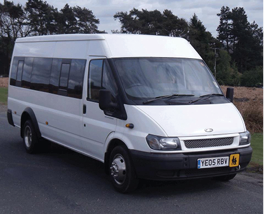 Excellent quality customer services combined with a high-quality mini bus which makes us a name to trust in mini bus hire locally. If you are looking for comfort, safety, quality customer services and much more along with affordability, Snell's is the name you can always rely upon.